The fight for Chinatown is an example of the real fight for beauty in Vancouver. In Paint it Red, director Eva Cohen documents the community's fight against Beedie, a real estate development company's proposal to put up a massive luxury condo tower in the heart of Chinatown. Her documentary is premiering at the Vancouver Asian Film Festival (VAFF) on November 5. For tickets, click here. 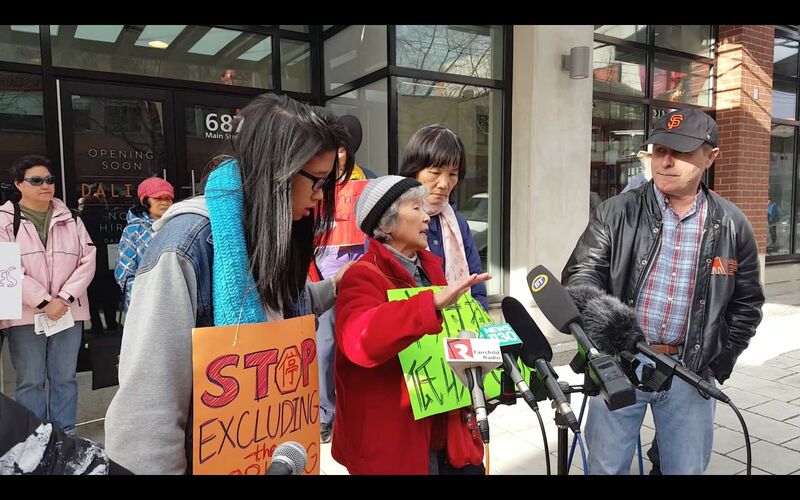 What happens when a bunch of seniors in Vancouver Chinatown face evictions and homelessness? They fight back! Beverly Ho is a young Chinese Canadian dedicated to preserving and continuing Chinese cultural heritage in Vancouver’s Chinatown. Can her efforts, along with other volunteers in the neighbourhood, succeed in stemming the rapid proliferation of million-dollar condos and pricey cafes? A VAFF Best Canadian Feature Award nominee.